This semester we took two class periods to discuss our online identities and cyber-bullying. During those classes, we looked at different hypothetical situations and how we, as future educators, would handle them. I found this topic to be particularly interesting, and decided to look deeper into the subject as a whole due to how widely effected students in the united states are by cyber-bullying. According to the Cyber-Bullying Research Center, cyber-bullying is defined as “willful and repeated harm inflicted through the use of computers, cell phones, and other electronic devices.” In other-words, it is the intentional harming of an individual through texting/cell phones or social media. The repetition is also an important distinction in order to be classified as bullying. Who is effected by cyber-bullying and why does it matter? 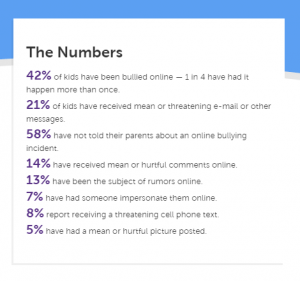 A survey conducted by the Cyber-Bullying Research Center found that roughly 28% of students had been cyber-bullied, though other stats have indicated a higher number of students experience cyber-bullying. In a 2006 study, 11% of the students surveyed admitted that they had cyber bullied others at least once (and 2% admitting to doing so at least 2–3 times a month. (Kowalski and Limber, 2006) Nearly half of the students who said they had been cyber-bullied said that was targeting from other classmates. What can schools and educators do? Due to how widespread this problem really is, as educators, it can be a difficult task to tackle head on. First and foremost, educators need to be aware of how to identify cyber-bullying, or rather, how to recognize it. Where a harmless joke crosses the line into bullying is a blurry and often subjective stance which can make the identification of cyber-bullying even more difficult. One way a school can address cyber-bullying is through policy implementation. 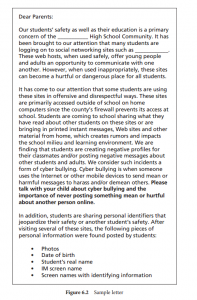 Like the ISTE standards we discussed in class, schools can have a thorough list of standards in their policies that address cyber-bullying, as well as consistent consequences for students who engage in that behavior. 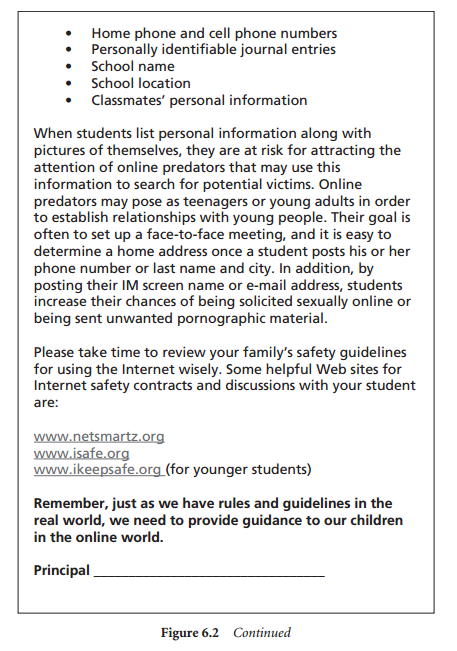 The ISTE standard 2B says, “Students engage in positive, safe, legal and ethical behavior when using technology, including social interactions online or when using networked devices.” With clear and concise expectations available for students, there will be no misunderstanding should a problem occur that the school needs to handle. As a school district, it is important to have supports in place and to have regular discussions with students about the matter, especially about why it is so harmful. 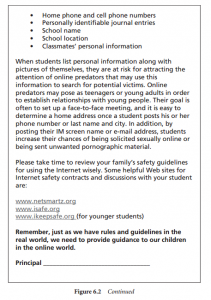 These discussions can also include the importance of general internet safety. Having a training system in place for staff on how to deal with cyber-bullies and how to interact with cyber-bully victims can also be very beneficial “to establish a climate that discourages bullying.” Not every staff member needs to be an expert, but all should be aware of it and should have minimal knowledge on the usage of different technologies and social medias that could be used to cyber-bully. This can be beneficial when discussing proper usage. Sharing resources and information with parents and encouraging reporting of occurrences are also beneficial ways to discourage cyber-bullying. In my future career as an educator, I can take the advice of resources I have introduced by staying informed and up-to-date on the technology students are currently using. By staying up-to-date, I can more effectively demonstrate or explain to students in my class the proper usage and how to ethically navigate online spaces. Using consistent discipline practices for bullying and cyber-bullying is also necessary in order to maintain a safe classroom for all of my students. 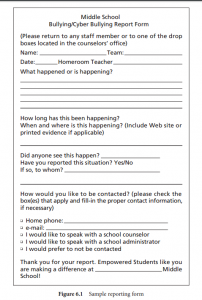 Also, encouraging students to report their experiences and creating an environment in which they feel comfortable enough to do so is imperative. Kowalski, R., Limber, S., & Agatston, P. (2008). Cyber Bullying: The New Moral Frontier. At the start of this semester, we were asked to discuss what we thought were the qualities of a “Good Teacher.” Written above was my initial response. Now at the end of the semester, looking back at my answer, I don’t think my opinion has changed, so much as expanded. Being enthusiastic, knowledgeable, engaging and personable are crucial; but being informed is the foundation of our success as future teachers. We must teach as trauma informed educators. This means being aware of the family situations our students come from- single parent homes, incarcerated family members, gang or crime involvement, severe poverty etc. We also have to be culturally informed- being aware of how race, sexuality, gender, and social class shape the identities and experiences of students coming into the class, as well as how stereotypes and social perceptions can (potentially subconsciously) effect our interactions with students. Coming from a high school that was far from diverse, learning about trauma informed teaching and culturally informed teaching was invaluable; especially when working with my cooperating teacher in the Beloit school district. In most ways, it was a totally new experience. In class, we discussed the differences between psychologists’ theories and how they can be applied in the classroom. This helped me to understand that children learn differently. I think the most helpful tool we looked at in class was Piaget’s stages of development and the different tests we have to assess where a student may fall on that continuum. The most important thing I learned this semester was the importance of student centered teaching and how it can effect a classroom. I also think that the way we can utilize technology in class plays a huge part of student-centered practice. Being able to look at different methods and kinds of tech was really informational. After graduation, I’m not sure that I will necessarily continue this blog, but I do think it would be beneficial to keep an unofficial log of experiences related to my educational career. Staying up to date and connected between my professional online avenues such as my Linked In account and my resume will be necessary to maintain my digital identity. Learner centered methods I could employ may include the use of literature circles. This not only allows the students to have a hand in choosing their own course material and how they intend on spending class time, but they are also working in groups to complete text based questions while also discussing the content– gaining multiple relevant view points in the process. In this situation, classroom design would also aid in the student centered context. As we discussed in class, desks can be arranged in a way that students are seated close together or in groups separated by the book they are working on in class. A useful assessment for literature circles are group presentations at the end of the unit, discussing main points of each group’s book and how their interactions with the text may have have given insight, changed opinions on subjects, or broadened understandings about topics or ideas introduced. In this case, backwards design is the most effective method of creating lesson plans, as I can focus on what needs to be understood and how different standards can be introduced before assigning books that may or may not be effective in doing so. For this activity, I used backwards design to create a lesson plan that focuses on the standard, “Cite strong and thorough textual evidence to support analysis of what the text says explicitly as well as inferences drawn from the text, including determining where the text leaves matters uncertain.” Backwards design focuses on what standards and goals the educator has for the student and incorporates methods into the curriculum that achieves those goals. In my lesson plan, rather than starting with a unit then moving into the concepts it encompasses, I started with a standard that I wanted to incorporate into my curriculum then created an assignment to do so. The assessments include the written document created by students discussing two different quotes that discuss verbal and nonverbal information effecting the story and its characters. A non-formal assessment is the discussion of thesis statements in class and how the students decide they should move forward with the prompt I have provided. In section three, I take into account learner development by setting clear expectations and allowing class discussion. Having the students discuss the assignment allows those who are confident to share their ideas while those who are unsure have backup from their peers to either reassure their own ideas or introduce new ones that can spark further development. I chose this method because it allows so much room for student choice and involvement in the process of their learning. This also can create an inherent sense of engagement or responsibility for learning. Being able to share ideas among peers can also create engagement and interest due to the pressure to meet group expectations. By focusing on the desired outcomes, it will help me as an educator choose which books will be most effective in facilitating successful understanding of the standards I am trying to incorporate into my lessons. In this situation, I think that backwards design would be much more helpful than hindering. In my future career as a teacher, I expect to encounter students with a range of differences, from cultural background to economic status, and students with disabilities and high performers. From my experience observing in the classroom, I was able to see how a cooperating teacher was able to adjust curriculum for all of her students, which went from high performance classrooms, all the way to low performing students who were mainly ELL or those with IEP’s. I can identify these differences by reviewing assessments and communicating with prior educators as well as special education teachers. Having conferences with students’ families to discuss their background and knowledge of the individual needs of their child would also be beneficial. One way I can plan to work with a range of scoring students in the classroom would be to implement groupwork regularly into my curriculum. According to Carnegie Mellon University’s Eberly Center of Teaching Excellence and Educational Innovation, “Group projects can help students develop a host of skills that are increasingly important in the professional world (Caruso & Woolley, 2008; Mannix & Neale, 2005). Positive group experiences, moreover, have been shown to contribute to student learning, retention and overall college success (Astin, 1997; Tinto, 1998; National Survey of Student Engagement, 2006).” The article goes on to say that working with diverse viewpoints can benefit the development of collaborative skills. Its important to plan for differences in ability and educational level because not all students come in the same, and not all coursework will be at the appropriate level of difficulty for each student. Allowing students to work together gives them additional opportunities to explain work to other students, and therefore deepen their own understanding, while the student having difficulty with work has the opportunity to discuss issues or questions they may not feel comfortable with discussing in a large class setting. This setting also has a breakdown of the student-teacher power dynamic, which can be intimidating for students who are having difficulty with content material and assignments. Another major difference among students is economic status (and family situation in general), which according to Woolfolk, is the greatest indicator of cultural difference. As per the discussion on Lareau, not all students are given the same opportunities. I mentioned in my Module 4 Activity that I definitely identify with the middle class family and student dynamic. I had the opportunity to participate in groups and activities outside of school. I also had a really supportive family that encouraged me to pursue my interest in reading. Not all students will come into my class with the support from their family, nor the ability to participate in activities and groups outside of the class. When I was in school, I recall a teacher that assigned each student to buy and bring in wipe-off markers to be left in the classroom bin, which would be a five point grade in the grade book. I remember feeling personally annoyed at having to pay for something for class that I wouldn’t be using, but for a student who didn’t have the funds, this “assignment” could be really frustrating and embarrassing. This would either force the student to speak with the teacher about their financial situation or take the 0/5 grade for not bringing in markers. In the future, I must be more aware of and sensitive to my students’ situations and avoid situations that would force them to either divulge sensitive information they wouldn’t have ordinarily shared, or set them up for failure through no fault of their own. Hoy, A. W. (2017). Educational psychology: active learning edition (12th ed.). Boston: Pearson. In our current Educational Psychology module, we are discussing the different theories of learning and their uses within the classroom. In this blog post, I will outline the differences between Behaviorism and Cognitivism, as well as their limitations and criticisms, how I personally can use them in my future teaching career, and where my own beliefs fall. According to Woolfolk (2014) “Behaviorism is a learning theory that focuses on external events as the cause of changes in observational learning” (G-12). In short, behaviorism hinges on the “nurture” of the “Nature vs. Nurture” discussion. The Behaviorist Movement began from the text, “Psychology as the Behaviorist Views It,” written by John Watson, in 1913. According to behaviorism, learning is passive, which can be constructed through positive and negative reinforcement. Two known proponents of the Behaviorist theory are Skinner and Pavlov, who’s experiments work with conditioning in order to generate a desired outcome, though Skinner is considered to be an extreme Behaviorist. A criticism of this theory is how it can negatively impact a child. When a student becomes accustomed to receiving extrinsic rewards or motivation, the student may loose interest without it. Another criticism of this theory is in regards to ethics; whether or not it is ethical to modify and control behavior. Also, punishments if given incorrectly, can harm the child or have lasting effect. The largest criticism of the cognitivist theory is that it refers to processes we can’t directly observe and it ignores biological factors. Why is it necessary to apply these perspectives to learning instruction? Understanding the behaviorist theory is imperative when looking to understanding certain aspects of one’s students. As it is proven that many behaviors are learned, certain behaviors that are displayed in the classroom can be understood to have been imitated from an outside influence, such as their parents, other family, or peers. If a student sees their parents display positive work ethics and a respect for authority, likely the student will also display those traits. Conversely, the same could be expected. If the child is not responding well within the classroom, their behaviors may be difficult to correct or alter due to those learned behaviors. Also, when applying Cognitivism in the classroom, the teacher takes on the responsibility of helping students actively engage with the information they are learning. The teacher is also modeling behaviors the students should replicate. For example, demonstrations during labs or art projects and discussing with the class examples of both good and bad writing, what makes them so, and how said examples can guide the students’ future writing. A way to utilize behaviorism in the classroom could be through positive or negative reinforcement. If (a) students perform a desired behavior, a reward can be given to encourage that behavior in the future. For example, students who perform their classroom jobs correctly can be given a sticker. When enough stickers are accumulated, they can be traded in for a reward, such as a book or a positive note to take home for their parents. Students will have an extrinsic motivator to perform positively in the classroom. A way to apply Cognitivism in the class is to create in depth flash cards to review material. Flash cards would include a word, the definition, a sketch or picture and a scenario. Visual cues as well as scenes a student can visualize can create a more well rounded understanding of the concept trying to be learned and remembered. Keeping and reviewing flashcards over the course of the semester or school year promotes deep learning and long-term memory formation. Where Do I Fit? Which views reside within your beliefs in regards to the role of teacher peers and students? On the spectrum, I do believe that I fall more into the Cognitivism category. I understand the benefits of Behaviorism and its uses within the classroom, but I prefer the idea of active learning rather than passive. I definitely see the question of ethics coming into play when dealing with changing or modifying behaviors to suit the needs of the classroom, rather than individually looking at the needs of the students to promote positive behavior. I also think that allowing students to do hands on work rather than rote memorization is far more beneficial when trying to make lasting long-term memories of information being learned. When looking at the chart, I don’t believe either Behaviorism or Cognitivism gives the role peers play the recognition it deserves when it comes to learning. I personally think they play a much larger role, as outlined by Constructivists and Social Cognitivists. Overall, I think that somewhere between Social Cognitivism and Social Constructivism falls most in line with my own beliefs on teaching and the roles of the parent, teacher, student, and peers. Notable psychologists (Piaget, Erikson, and Vygotsky) have each developed widely accepted theories to explain cognitive development which teachers can utilize within their own classroom when dealing with students, though each come with their own benefits and limitations. Piaget’s theory of cognitive development introduces four stages with specific characteristics and their respective age approximation. The four stages are sensorimotor, which occurs between birth and two years of age, preoperational, which occurs between 2-7 years old, concrete operational, which occurs between 7-11 years old, and formal operational which occurs between 12 years old through adulthood. The stages range between gaining object permanence, early speech, understanding conservation, and advanced reasoning. The basis for this theory is that people gain understanding through experience and maturation. According to Woolfolk, criticisms of this theory is the underestimation of children. Piaget believed that children had to grow in order to advance through the stages- that is, they could not be taught to do so. Erikson’s theory of development focused more on different sets of “crises.” As they progress through childhood, kids experience different developmental crises that will have either positive or negative resolutions. These resolutions can have lasting effects into adulthood. The eight crises are basic trust vs basic mistrust, autonomy vs shame or doubt, initiative vs guilt, industry vs inferiority, identity vs role confusion, intimacy vs isolation, generativity vs stagnation, and ego integrity vs despair. The first stage, also defined as birth to age two, occurs as the infant forms a relationship with their caregiver. Vygotsky introduces the zone of proximal development. This is the idea that for children, engaging information falls between that which is too easy and too difficult. The middle zone is information that “the child is just on the verge of being able to solve.” (Woolfolk p.66) There is a heavy focus on an outside influence being able to progress development. This is in contrast to Piaget, and also a limitation cited by Woolfolk. While outside influences can effect development, much of a child’s influence occurs before direct instruction. When a teacher is aware of these different theories and concepts, they can be implemented when working with diverse students within the classroom. Since each child develops at a different rate, having an understanding of where their students fall can allow the teacher to adjust curriculum and strategies to accommodate the gaps in development. Since development is typically orderly, based on classroom performance, a teacher can assess where the student falls in their developmental stage and predict their upcoming stages and how it can function within the class. Development is also gradual, which can be accommodated by the implementation of scaffolding. Since not all students will be at the same level of development, beginning with basic information can later be built upon with the help of supports. Those supports may include students who are further along to help those who are struggling. Along with the psychological and physical development a child experiences, family, friends, and media also have a direct impact in a child’s development. There are four major parenting styles according to Diane Baumrind. There are authoritative parents (high warmth, high control), authoritarian parents (low warmth, high control), permissive parents (high warmth, low control), and rejecting or neglectful parents (low warmth, low control). (Woolfolk p89) According to the article by Gwen Dewer, “Kids raised by authoritative parents are more likely to become independent, self-reliant, socially accepted, academically successful, and well-behaved.” On the opposite side of the spectrum, according to the article “The Effects of Early Neglect on Cognitive, Language, and Behavioral Functioning in Childhood,” children who experienced neglectful parenting were much more likely to experience behavioral problems and lower cognitive functioning. During the class activity, I explored the effects of neglectful parenting on the fictional Gallagher family in the television show shameless. In comparison to their peers, the Gallagher children were much more likely to act out violently or participate in illegal activity. The children also performed at a much lower level academically, as one of the children repeated the same grade three years in a row. Personally, I experienced a parenting style that fell between authoritative and authoritarian. Peers also influence development. A child’s peer group can influence self-esteem as well as mutual interests, as they are “central to students’ lives.” (Woolfolk p93) Peers have a large effect on the day to day experiences such as academic and social competency. These can either be positive or negative based on the level of support they receive. In education, teachers are (or rather, should be) constantly researching new information; be it in regards to furthering their own personal studies, new information to incorporate into their syllabus and individual lesson plans, or how to best serve their diverse classroom. Having research literacy allows teachers to spend their time and efforts on only the most beneficial information, instead of trying to sort through ineffective or irrelevant content. Many very effective assignments given to students require outside research. Furthermore, if the teacher assigning the homework is proficient in finding information and related data, they are more likely to engage with their students about how best to do so as well which, in turn, will lead to better informed students. With the vast amount of information available to us, as teachers, we have the ability to always incorporate fresh content and appeal to different points of view. A teacher who is consistently researching new methods and pedagogy is less likely to fall into a rut or stale routine. Teaching students with current events and new information mixed into classic methods can also allow students to make real-world connections with new knowledge acquired in class. Another benefit of having information available to teachers is the wide support network. Problems within the classroom likely have been written about and have a plethora of workable solutions. There are many forums where professionals can write about and discuss experiences and issues they encountered and the ways in which they were handled. In doing research for my bibliography assignment, I have concluded that assigned homework may or may not be effective for a number of reasons. 1. In a household lacking parental control over the student’s education, homework may not be completed (and therefore ineffective) due to the lack necessary outside pressure. 2. In a household with too much parental control over their student’s education, homework may be completed by the parent (and therefore ineffective) due to too much outside interference. 3. Students don’t complete homework for numerous reasons. They don’t have time, wish to participate in social activities, or have part time jobs that interfere with their ability to complete their schoolwork. These reasons aside, I don’t believe that removing homework completely is the best course of action either. I believe that ensuring that students are being assigned quality work, can still benefit the student. By avoiding what students may believe to be “busy work” and keeping assignments short and to the point could also work to keep engagement and ensure completion for a wider range of students. Xu, Jianzhong. 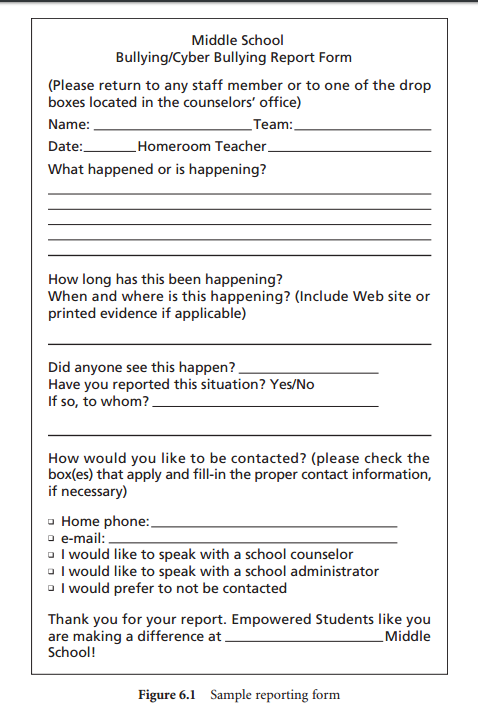 “Homework Purpose Scale for High School Students: A Validation Study.” 70.3 (August 31, 2009): 459-76. Web. .
Locke, Judith Y., David J. Kavanagh, and Marilyn A. Campbell. “Overparenting and Homework: The Student’s Task, But Everyone’s Responsibility.” Journal of Psychologists and Counsellors in Schools 26.01 (2016): 1-15. Web. <http://eprints.qut.edu.au/92434/>. Hinchey, Pat. “Why Kids Say They Don’t Do Homework.” Clearing House 69.4 (n.d.): 242. Web. <http://libproxy.uww.edu:2059/ehost/detail/detail?sid=50af9597-2544-417c-af72-7066193cac18%40sessionmgr4007&vid=0&hid=4107&bdata=JkF1dGhUeXBlPWlwLHVpZCZzaXRlPWVob3N0LWxpdmUmc2NvcGU9c2l0ZQ%3d%3d#AN=9605304083&db=ehh>. My name is Karina Schlagel. I am currently a senior here at UW-Whitewater. I am an English Education major, with a creative writing minor (former art minor) and in the future I hope to teach freshman and sophomore courses in high school. Overall, the influential teachers I had along with my high school experiences propelled me toward an educational profession. I come from a medium sized high school which is probably what I would prefer to teach at as well. I had the opportunity to learn in a high school where the teachers knew my name and my classmates knew each other but it was a large enough facility that it didn’t have the “clique-y” feeling that smaller groups often have. The most memorable teachers I had came from the Art and English departments. I was very fortunate to have been able to attend a high school with such a strong art program. We had three full time art teachers that occupied neighboring classrooms connected by joint doorways. Each had their own unique and very quirky way of teaching the related subject. Mersch, Dercks and Miller were- and are- some of the most inspiring, funny and enthusiastic people I have met. Being able to attend similar courses taught in completely different ways was very beneficial, as it demonstrated the many possibilities a subject can have and how heavily a teacher can influence what is being taught. My high school English course experiences were also completely different. I had both incredible, passionate teachers as well as teachers who I can’t say even appeared like they wanted to be there each day. Sophomore year, I was in the basic required English course which was being taught by one of the younger staff members. Though it was apparent that he had little taste for Romeo and Juliet, he made the information accessible and enjoyable through his humorous and candid teaching style. Later on, during my junior year, I had a tenured, should-have-retired-years-ago-and-let’s-you-know-it, kind of teacher. She allowed no room for opinions other than her own, did not promote class discussion, and had little interest in the content she was teaching; which was made apparent by the fact that she out-right told us she hadn’t read the books for a few years. Finally, my senior year, I opted to take an elective English course taught by N. Curtis, who is by far one of the most interesting people I know. The course was “21st Century Communications,” which included sections on Ethics, public speaking, close reading and debate. Along with the course content, this teacher was able to relate back to current events and pop culture as well as mix in relevant personal stories that were entertaining and engaging. The class revolved around group discussions and the sharing of ideas to engage with the assigned material.